Starting a business and listing your products on Amazon is relatively easy. But being ahead of your competitors and earning the trust of Amazon’s consumer base is a whole different ballgame. One that is by no means an easy feat. 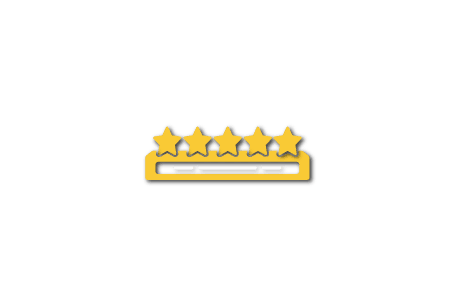 How the Amazon review system works and how it impacts your business. How a email sequencing tool can maximize your Amazon marketing/branding campaign. What’s So Important About Amazon Customer Reviews? When it comes to online marketing/branding, reviews are the modern equivalent of “word of mouth”. We are very much aware of how the suggestions of others can greatly affect our decision making process as consumers. Add to this that most of the products we drool upon online are usually those that we have little to no knowledge about at all. When it comes to the Amazon ecosystem, the more stars a seller has, the more trustworthy it is for consumers! Actually, this concept of trust also applies in the real world. The only difference online is the idea of instant gratification. In the offline purchases, before you trust the brand one will always look for a friend that has purchased something from the same brand. In the online world, in this case Amazon, consumer trust is measured in “star count”. And the main goal of every Amazon seller. To GET a 5 star rating, and KEEP it, through any means possible. Let’s step back a bit though before we get to the meat of this article, and quickly elaborate to new and would be Amazon sellers why reviews are that important. Now before we delve deeper into the topic of Amazon reviews, let me make a quick detour and talk about human psychology and how it can impact sales. Regardless of how independent a person’s mindset may be, he/she can’t brush off the idea of having a “herd mentality”. Yes, you may think differently from majority of people you know. And yes, you may live a more progressive and non-conformist lifestyle. But think about this – the mere fact that you are reading this article, and the fact that you are reading it to improve your Amazon business profile means you are opening yourself to be influenced by a total stranger. If you agree with what I just said, then you would probably be going “This guy knows what he’s talking about”. And if you think that this is all fluff, what you do is close this page and look for another article about this topic, right? Basically, what I’m trying to say is; our decisions alter, or can be influenced, through the actions of others whether we like it or not. Amazon is a business environment. And with you playing the role of seller, you need to understand what type of consumers exist, what they want to see, and how they react to it. This is something that huge multinational companies do, and so must you. If playing to the whims of consumers is what’s needed for you to sell a lot of products on Amazon, how is that a bad thing, right? Don’t get me wrong though. I’m not implying that you play to heart the role of an typical door to door salesperson of years before. Of course you are still free to be as creative as you want when it comes to what products to sell, and how to sell it. All I’m saying is that, make sure that your approach resonates and appeals to your target market. Now that I’m done with my attempt at doing a Sigmund Freud, let’s go back to reviews. Think of “Social Proof” as your credibility as a seller. And the more social proof you have for your Amazon seller account, the more credible you become in the eyes of consumers. An item rated as 5 stars by 8 people can be easily brushed off by most as a inaccurate compared to a 4 star item which has 400 reviews. Yes, having 5 stars is good, but you also need to have volume in order for it to hold much credibility. Also, the more review an item translates to better visibility in Amazon search for keywords related to said product. Yes, think of reviews as an SEO ranking factor for the Amazon ecosystem. There are many ways to get legitimate, buyer generated reviews on Amazon. And I narrowed it down to 5 in order for you to be able to finish reading this article before Christmas. Most, if not all, negative customer reviews stem from the idea of being misled. My top advice, be brutally honest in describing your product. If you’re selling a wallet made out of synthetic leather, put it on there. In order to avoid any false expectations from your customers, you need to be precise and honest about your product. Now if you followed the first tip above, then there is absolutely no reason for your customer not to be happy with his/her purchase. And to make the most out of that positive buying experience he/she has in dealing with you, you need to send him/her an email that discreetly asks him/her to review the product. Now there are different ways to go about sending an email. What I do is use an email sequencer that automatically sends an email right after the purchase. It is then followed by another email 2 days after delivery asking about the buyer’s reaction towards the product, and a request for a product review/feedback. And lastly, a third email that either serves as a thank you and marketing email….. and again, a polite request to review the product that he/she has purchased from you. Anyway, sending an email is the easy part. The problem starts though when let’s say, you get 100 purchases in a week. What I love about newsletters, and especially social media is that you already have a targeted audience at your disposal. Now if people know you as a seller, they most likely follow you, or subscribe to your newsletter, because they are already believe in whatever product you’re selling. Or better yet, then could actually have bought something from you and see you as a credible online seller. Take advantage of your audience by sending them emails or direct messages asking for product reviews. Technically, this will show you a list of your competitors. This will give you an idea who they are, how well are they doing, and who reviewed them. You are now looking at a buyer profile. If the profile shows his/her contact information, then send him/her an email. If not, try to see if you can look the user up on social media platforms. Have you watched the movie “Ratatouille”? Remember that skinny restaurant critic Anton Ego? Well, you can think of top Amazon reviewers in that context, minus the villainous aura of course. Amazon has a list of what it considers as “high value reviewers”. You would usually see these user accounts with titles like “Top Ten Reviewer” or “Hall of Fame Reviewer” tagged to their username whenever they make a review. Do you like fishing? We’ll I can’t say I totally love the sport, but I do appreciate the level of patience and skill needed in order to get that price catch. Same goes with getting top Amazon reviewers to give you one of their prized reviews. It takes a certain way of luring them to take the bite. Don’t worry though, I will share my method with you. Surprised? Remember at the start of this article, I mentioned about Amazon being a business environment? Well you have your own way of doing business, they have theirs. Yes, most of them treat their status on Amazon as a business arrangement rather than social service. And some of them actually make a decent living out of it with more than a hundred reviews per month to their name. Some take cash while others take freebies as payments. Regardless of what method you agree upon, keep in mind that this can be a pricey undertaking for you. So my suggestion is, don’t get carried away and keep it to a minimum. First, you need to understand how to navigate Amazon in order to find these users. So, here you go. Each page is divided into two sections, “Top Reviewer Rankings” and “Hall of Fame Reviewers”. The Top Review Rankings list will give you the list of “current” top Amazon contributors while the Hall of Fame Reviewers list will show you the “veteran” contributors of Amazon. Pick a user from either section and hover your mouse pointer over his/her username. This will bring up a list of tags that are often used by that specific user. Using the tags as reference, the idea of this is to find a user that has reviewed a product that is similar to yours. Now go open Excel or Google Spreadsheet and start creating a contact list. List down as much information available to you from their Amazon user profile. Social media accounts, website, email etc etc. In the event that they don’t have an email, try contacting them through social media. Be careful to not come off as a creepy stalker though. Be professional with how you compose your message and state your intention clearly. Now that you you have enough data on your target user, it’s time to send him/her an email. But before you do so, you have to understand the most important part of branding, DO NOT HARDSELL. Keep in mind that you should always present yourself as a professional business person and not a fish seller shoving your daily catch unto unsuspecting people at a market. You email must be business like, clear, but straight to the point. Be courteous in addressing the person you’re contacting, but at the same time, don’t be needy. Remember that this is your first contact with an established user account on Amazon. And the impression that you will leave said person can make the difference between him/her charging you fairly or not. Now if you do all the things I’ve been talking about correctly, you will eventually start seeing reviews pop up on your account. And when that happens, your next task is how to manage all of them efficiently. Even the most “hands-on” person can only do so much. Go ask yourself, how much emails can you write and send in one day. 10, 30, 50? I doubt you’ll enjoy sending 50 emails a day, but if you do, then congratulations! You’re a beast! But what if your product starts raking in 100 or more sales per day? Do you still think you can handle sending all those emails? Of course others would say, “I’ll just hire someone to do it for me”. True, that you can do. But why pay someone for something you can do yourself…… for less? I have been on that road before my friend. And believe me, as much as I enjoy every purchase email I got, sending out a thank you email to each one of those buyers was not worth the money i got from them. That’s why I decided to start using amazon customer follow up email sequencer. It automates email marketing/branding campaign from point of sale to after-sales. What’s the point of this you ask? In business psychology, it is the process of “humanizing” a business or brand. Sure, you may argue that having your full name and having a photo of yourself on your profile humanizes your account. Sorry to burst your bubble though, but that is as human as a huge billboard on the highway with a pretty face on it. By sending your buyers a personal email, you discreetly start to create a relationship with them. And in business, being friends with your customer is key to longevity and consumer loyalty. To end this article, let me just say that getting reviews from amazon buyers isn’t always easy. But if you are patient, play your cards right, and maybe use this article as a marketing/branding guide, your efforts will definitely pay off in the end. Always keep in mind that reviews play an important role in amazon’s organic rankings as well as influencing the customer’s decision to buy. So make sure you keep ‘em coming! Do you have additional advice for getting amazon reviews, or maybe have a different take on what you just read? If you do, please share it in the comment section!